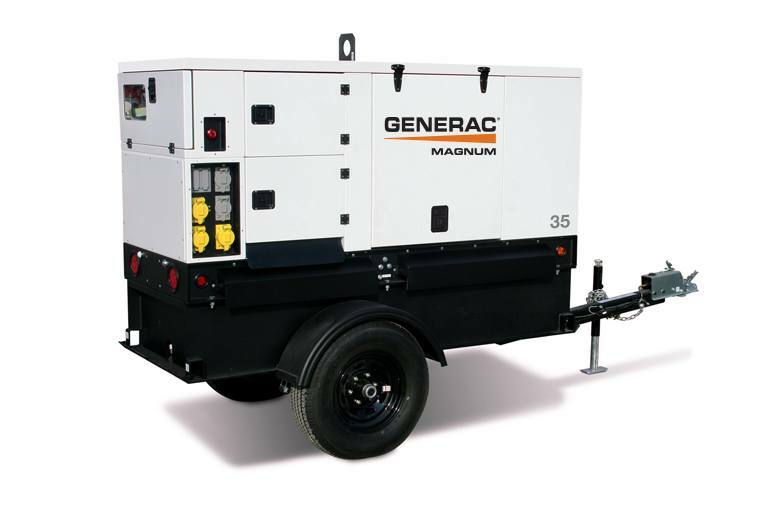 The Generac|Magnum MMG35DF4 delivers a lot of power in an innovative, easy to use and easy to maintain compact package. The unit was specifically designed with a cabinet that has the features customers want to be as maintenance free and easy to use as possible. And it’s supported by a Tier 4 engine with a long run time and the ability to easily select the power output needed. All of this is encapsulated in a sound attenuated, rust-proof, aluminum enclosure so you can use the unit anywhere power is needed – at an event or on the job.